Hello friends and welcome to the My Favorite Things Unity Blog Hop! Two lucky commenters chosen from among all the blogs will be chosen to win 25 random Unity stamps. 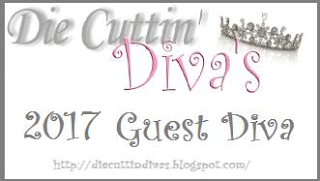 You should be arriving from Berina's blog. 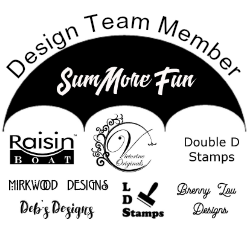 Today we are showcasing our favorite stamp set from Unity Stamps. My current favorite is KOM-5/13 Totally & Utterly Amazing. That stamp set is just that...amazing! This is the card I created with it to share with you today. I fell in love with that vintage car stamp right away! The blank bracket stamp is also included in this set. 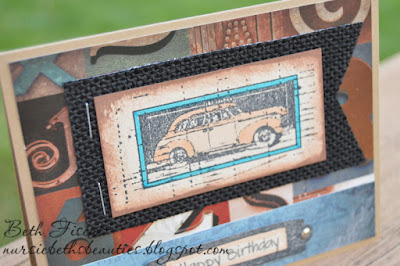 I used patterned papers from DCWV's Industrial Chic stack, which matched the exact feel I was going for with this card. I hope you enjoyed my card! If you like what you see, please consider becoming a follower of my blog or my Facebook page. 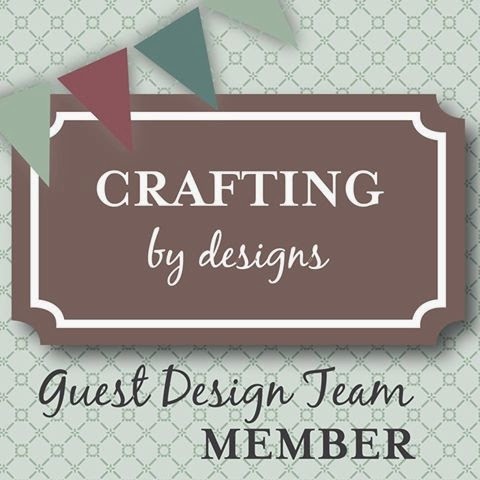 NOW, hop on over to Lisa's blog for even more Unity inspiration! I hope you have a wonderfully crafty day! Remember to comment for a chance to win Unity Stamps! Labels: birthday, card, DCWV, Masculine, Unity Stamp Co.
your card is so elegant, perfect for a boy! 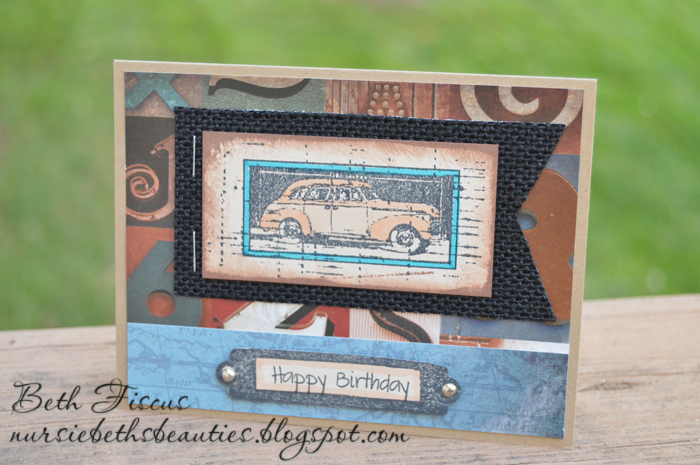 I love seeing masculine cards and this vintage auto design is really great. The blue and brown combo is perfect! Love the card! How nice to see a card that could be sent to a man! Love that antique stamp on your wonderful card! It makes a perfect guy card! Yay!! A fantastic masculine card to CASE! Thank you, thank you for creating and sharing! This is a great stamp to use for my dad! Your layering is pretty. The card is such a wonderful masculine card. those are so hard to design - at least for me. 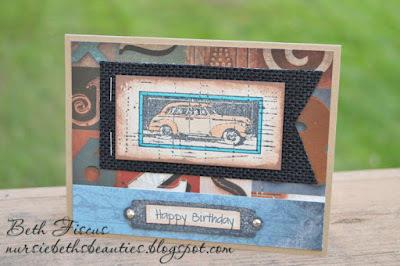 Awesome card, the background paper is perfect for this vintage stamp! I love all my Unity Stamps! Excellent stamp choice... 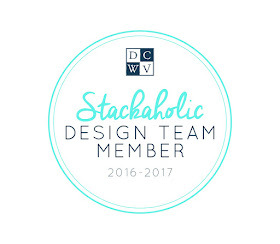 I have used that same stamp many times.. And that DCWV stack is one of my favorites !! Love the card .... It was nice being in the Hop with you !! Gorgeous masculine card. Love this vintage car and the papers your chose. What an awesome card! I love classic cars and should definitely have this stamp in my stash. Wonderful site...and I especially like your "wallpaper" with the birds! This is gorgeous! I think this is a great stamp for a masculine card, which I tend to struggle with! I love what you did with this stamp. Amazing work. It is so great to be hopping with you. A fantastic and very masculine card!! not many masculine cards but love this one. Just LOVE the antique feel of your card. Love it! Cool card. I've never noticed that kit before. It's fun discovering "new" kits on this hop! Love the card! Sometimes it is hard to find things for masculine cards. This is a wonderful card!!! Love the colors you chose for the car. My boys would love it. I am always looking for good stamps to use for cards for my boys. Thanks for the wonderful and simple use of a few stamps. Love this car and great choice of papers. Beautiful card. The car is so cool. Very nice, male cards are very hard for me, TY, my dad would loves this card. Amazing male's card,it's so elegant,sweet,creative and original! Love it, I can think of 2 people this would be great for. Thanks for sharing. oh my, i have this stamp. totally inspired.